We analyze environmental samples in multiple matrices – soil, water, and air. And we do it at a very competitive price with project friendly turnaround times. 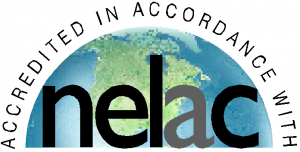 Quality – ENVision voluntarily participates in NELAP (National Environmental Accreditation Program). Envision orders and runs multiple PT’s (performance test samples) for all in house parameters throughout the year.